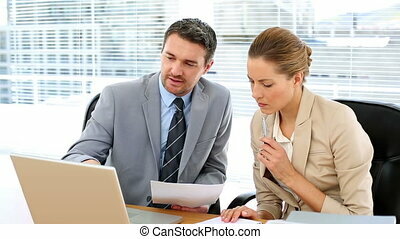 Business colleagues at desk using tablet pc in the office. 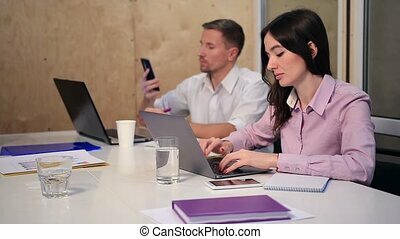 Successful business team working togehter with electronic devices and communicating at busy open space office. 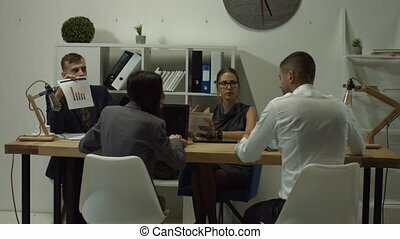 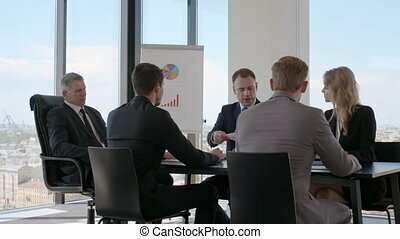 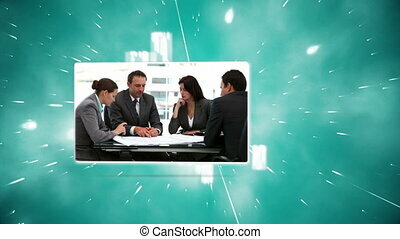 Business colleagues discussing documents and interacting at workplace. 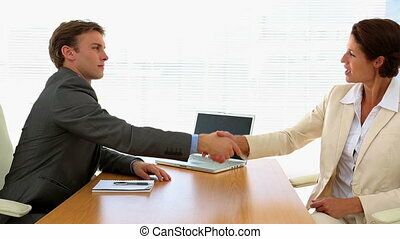 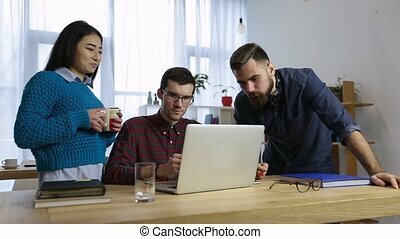 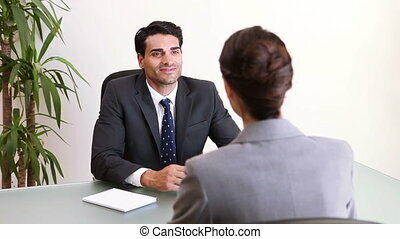 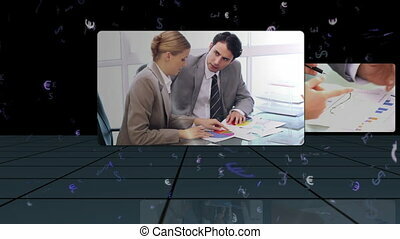 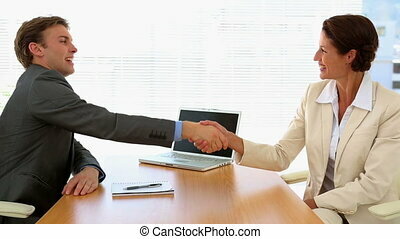 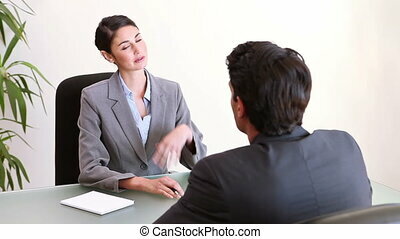 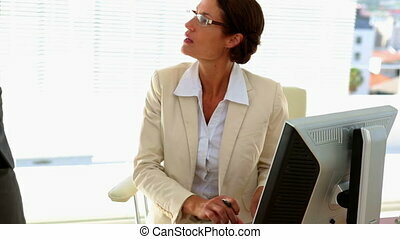 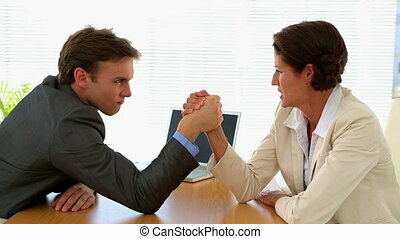 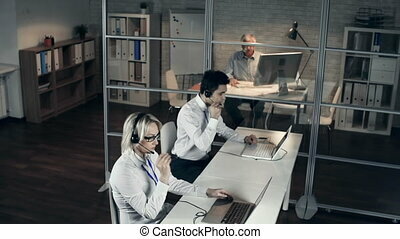 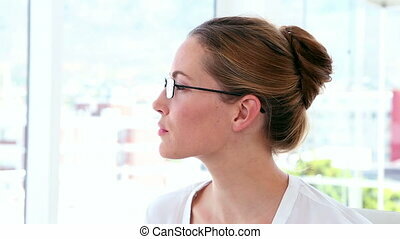 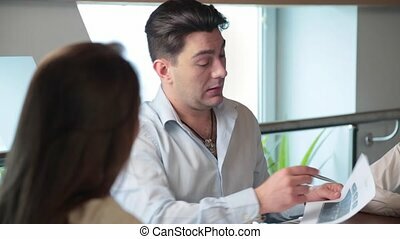 In office business man listens to woman who is gesticulating at desk. 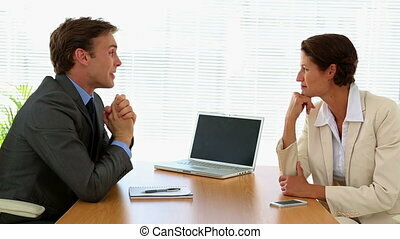 Two young people friendly in cabinet during an interview.